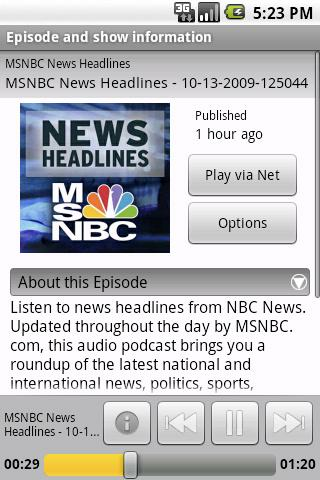 Mediafly Mobile is your way to play, organize and discover podcasts, audio, video, radio & streams from your Android phone. Powered by the Mediafly(R) CloudMediaOS(TM), this app delivers on-demand personalized channels of your favorite shows enabling you to watch/listen to what you want, when you want it. Enjoy popular channels such as news, sports, business, technology, science, celebrity gossip, comedy, video games & much more. Or create your own channels. Select from over 20,000 shows – everything from your favorite network news program to award-winning original web programs. + Continuous Play channels that let you just tune in and relax. + Organize your shows into easy channels, such as News, Business, Sports, Technology, etc. Fresh updates from your shows will automatically be delivered for you to enjoy! + Link your app to a Mediafly account and get the same channels on your Android and at home or office on your other Mediafly enabled devices (iPhone, iPod Touch, iPad, Roku, Western Digital, Google TV, and more). + Link multiple accounts to one device. Start with the default popular channels. 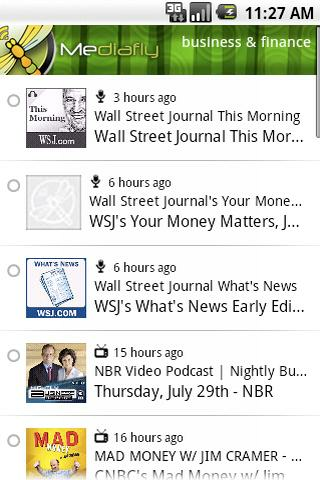 Next, personalize the channels: link your Android device to any Mediafly account and choose exactly which channels and shows you want. This also enables you to enjoy the same channels on other Mediafly enabled devices and the Mediafly.com website. Unlocks paid features of Android Finance Assistant application, such as:- unlimited multi-currency support.